Americans have a hard time with my last name and my first name isn’t very common. This led a former boss of mine to observe “Ward is like Cher or Madonna – everyone knows him by one name only”. The same could be said of Alan Garcia in Peru, he’s such a fixture of politics and popular culture (which are really one nowadays) that he’s simply referred to as “Alan”. When you say “Alan” everyone instantly identifies Alan Garcia. I have a young man working with me nowadays, Alfredo. Recently I asked him about some code we wrote earlier and he replied that he didn’t remember the details, “I have a terrible memory”. I said “you’re young, you should have an excellent memory”. In my case I had a perfect memory until our first child was born, I would never forget important things and even trivial things I would remember perfectly. With a mixture of sarcasm and seriousness he proceeded to explain that there was no milk when he was born during the disastrous first government of Alan Garcia, the period of hyperinflation in the 1980s. His mother suffered. “We – babies of his generation – suffered” he said wryly. I asked Mamacita linda later in the day about that period and although Mamacita doesn’t like to admit to remembering the 1980s she does remember there would be long lines for basic items in the stores and you could only buy powder or can milk. The family “knew a guy” who would sometimes bring fresh milk and “it was soooo good”. Her mom used to “know somebody” at the store and at the bank who would always make sure their family had what they needed. Mamacita said you would only go to the store or the bank at certain times when you knew “stuff came in” and for even a few basic items her mother would pay with fistfuls of cash. I don’t think Mamacita’s family were privileged but they weren’t among the poorest or worst affected either. During this period Peru was also torn by violence and the terrorism of the Shining Path. It all seems so absurd now. 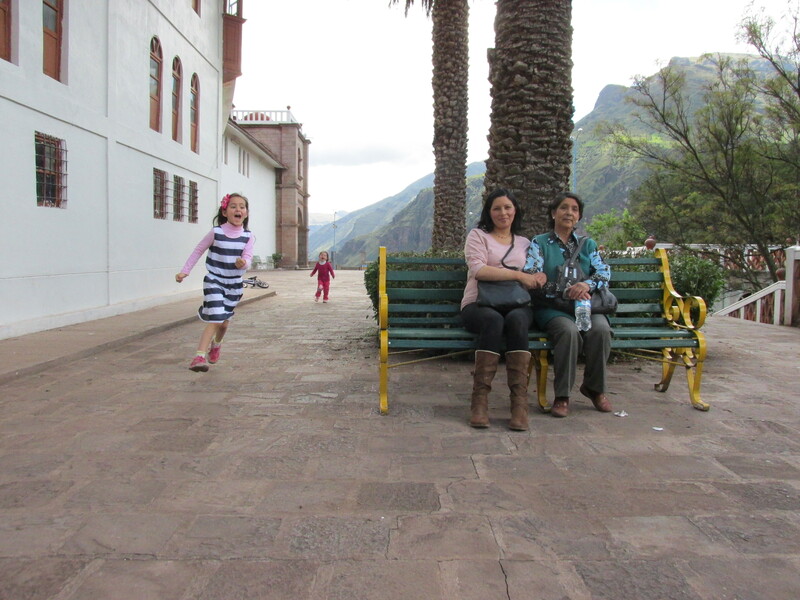 Thanks to demographics more than half of Peruvians have no memory of those bad old days. There’s been financial and political stability in Peru since the end of the Fujimori era in the late 1990s but I have some mixed feelings about the so-called progress since that time. What Peru gained in macro-economics isn’t reflected in institutional governance imho. This entry was tagged Alan Garcia, hyperinflation. Bookmark the permalink. True that Alan has that instant thing about him and the others get the recognition because of their unusual names (or initials), but there is a thing about Peru politicos and their one-word name brands. Good point. Interesting how political parties here are largely a personal name brand instead of ideological platforms. He’s huge. He drinks and dances. He’s OK in my book.